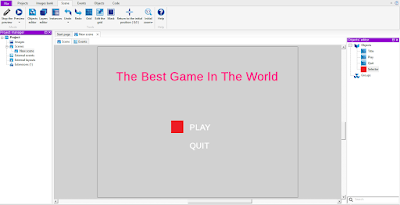 JukkaR: GDevelop - How To Make a Simple Menu And "Cutscene"
GDevelop - How To Make a Simple Menu And "Cutscene"
This is Tutorial how to make simple menu where you can select "Play" and "Quit". 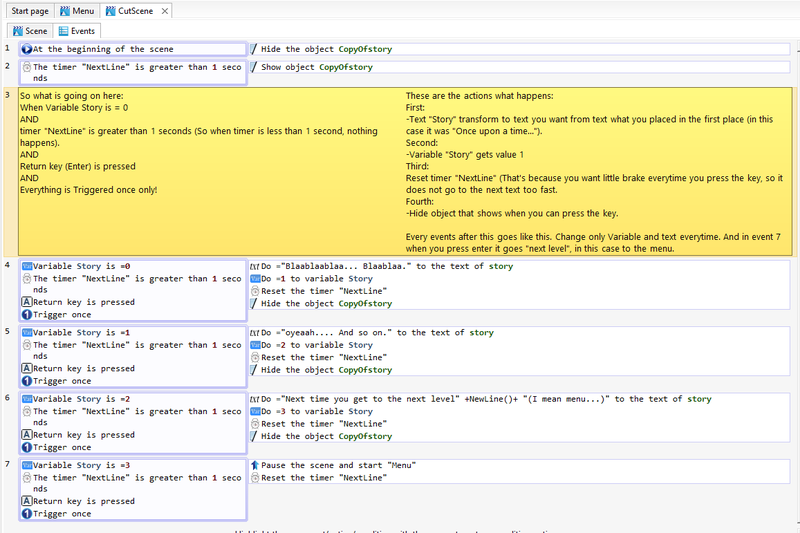 Also there is little demonstration how to make simple text based cutscene. You can download Tutorial HERE or follow there pictures I show you. First make these events. 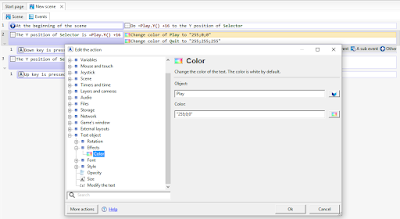 After this, you can move that red selector up and down and see how texts change colors. 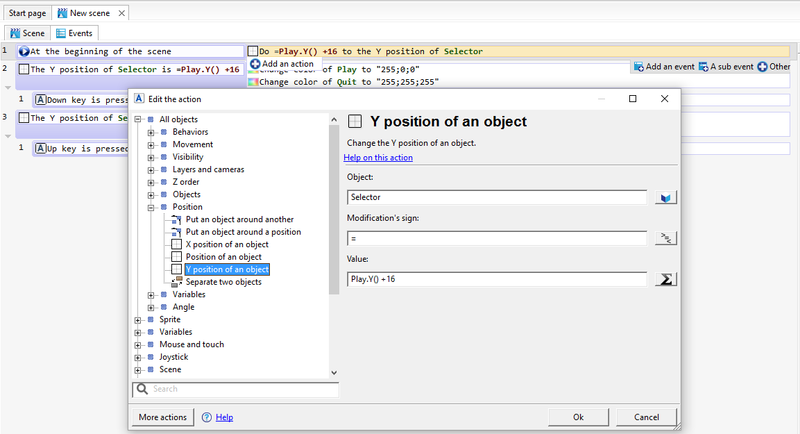 Event 1 set "selector" y position same "height" as text "play". 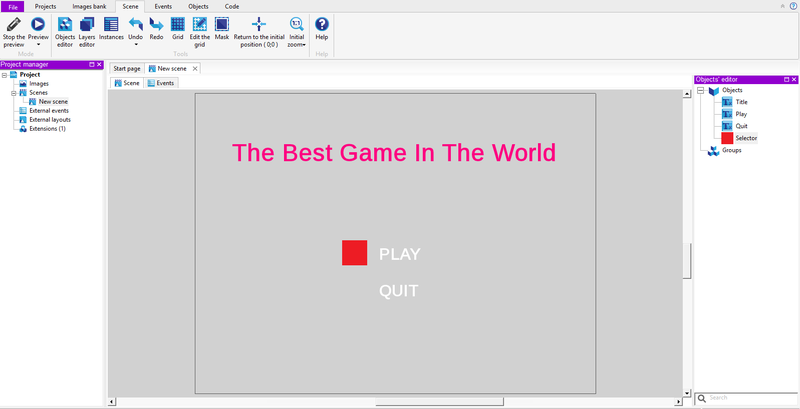 In events 2 and 3 you can see that when selector is in that position, "Play" text change color to red and "Quit" to white (default color). And sub event that when you press up or down, selector change it's y position. 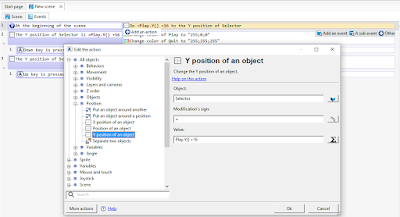 Here you an see where to find these position actions. And how to change the text color. 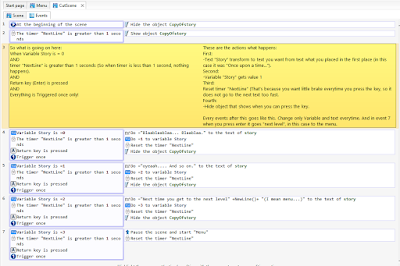 Now we add some events and sub events. Variable "Play" is there to define when you can move the selector up and down and to detect did you press "Play" or "Quit". So as you can see, you can move cursor ONLY when variable "play" is = 0. 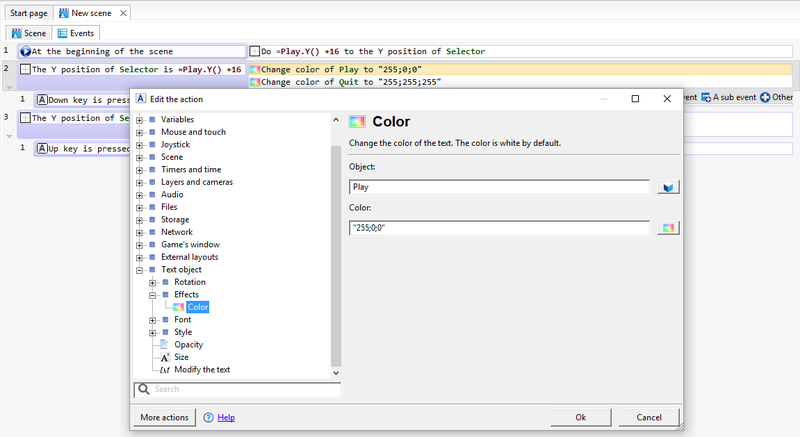 And when selector Y position is same as text "play" and you press enter, variable "play" gets value 1. And when value is 1 you can see in event 4 what is happening next. Do same thing to "Quit". This is image of the text cutscenes. Click this image bigger and you can see the explanation better.